8280 W. Union Hills in Glendale, Arizona. 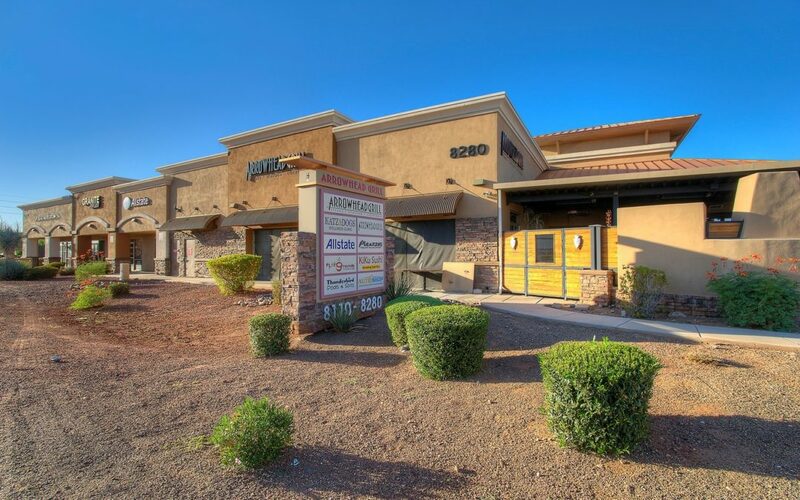 PHOENIX, ARIZONA (November 28, 2018) – NAI Horizon Associate Matt Harper, CCIM, represented the buyer in the $4.7 million acquisition of a freestanding, four-tenant retail pad in Glendale, Arizona. Union Hills Square is anchored by Arrowhead Grill, a popular and award-winning restaurant in the West Valley. Other tenants include Picazzo’s Organic Italian Kitchen, Allstate Insurance, and Bujor Granite. Within close proximity is a 196,000 SF power center with national tenants including Walmart, LA Fitness, and Sam’s Club. The seller, CC Fund 1 Union Hills North, LLC of Northbrook, Illinois, was represented by Andrew Harrison of Orion Investment Real Estate.